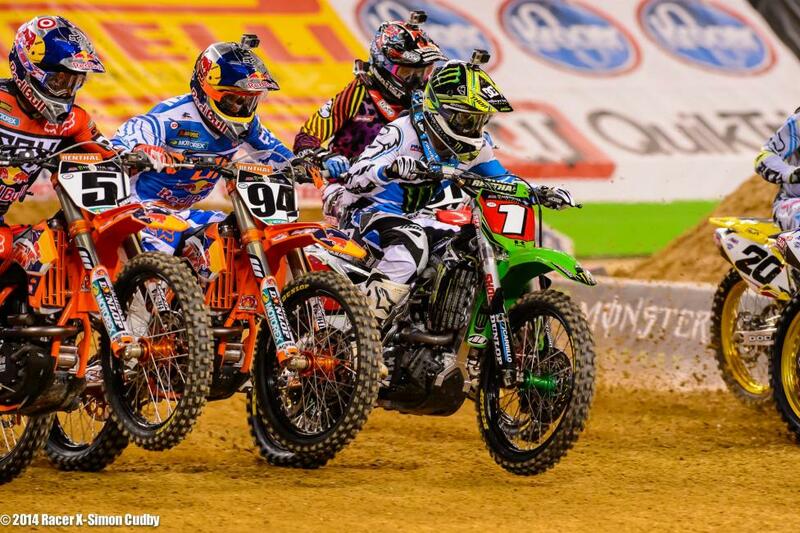 Red Bull KTM’s Ryan Dungey got the 450SX main event holeshot over Yoshimura Suzuki’s James Stewart and Honda Muscle Milk’s Justin Barcia. 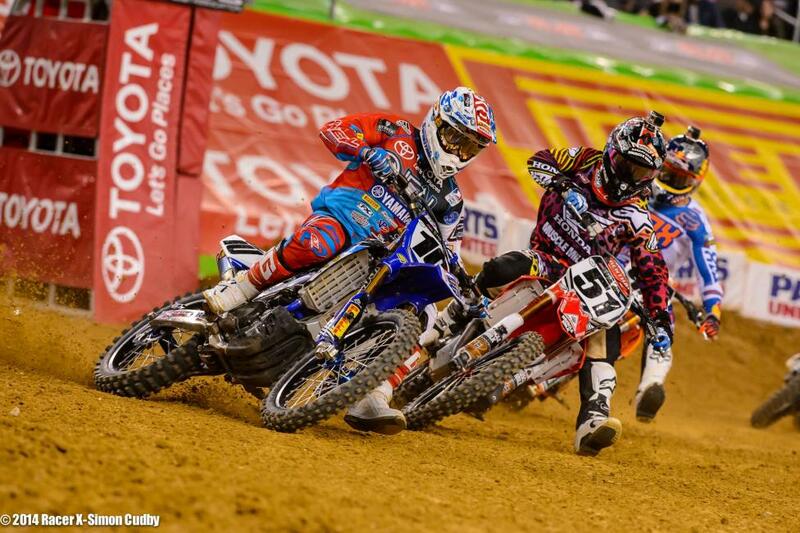 Justin Brayton, Ken Roczen and Ryan Villopoto followed up the top three, and those six riders picked up the pace and separated from the rest of the 450SX riders. 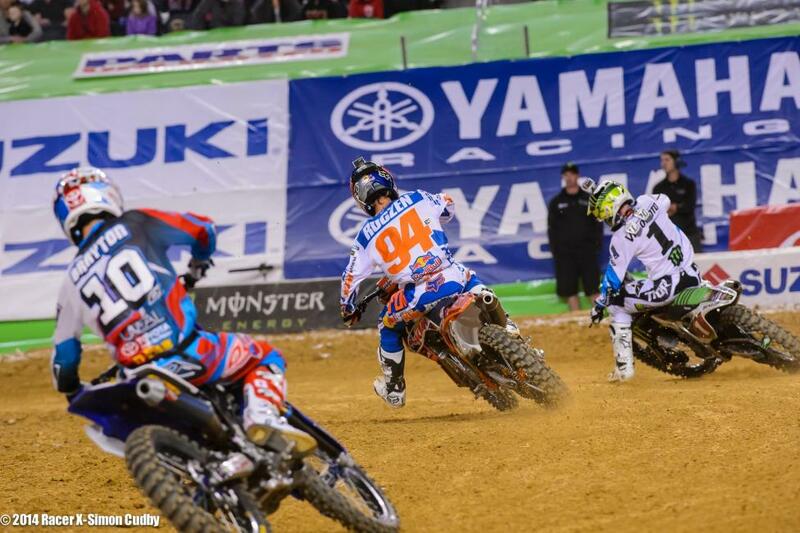 Stewart managed to pass Dungey going into lap three through the inside of the finish-line corner. Behind them, plenty of mistakes were made by most of the riders in the top six and positions were swapped multiple times. 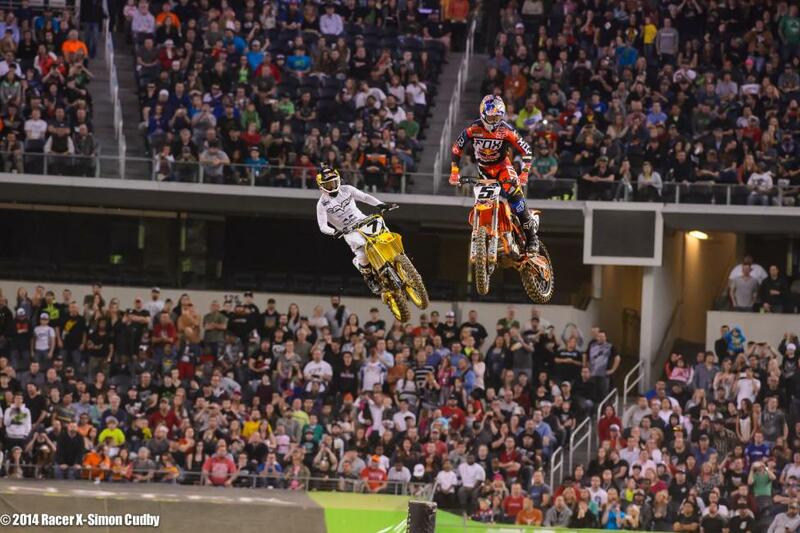 Barcia fell back and diced with Roczen—including a close call over a triple—and resurged to take third from Brayton. 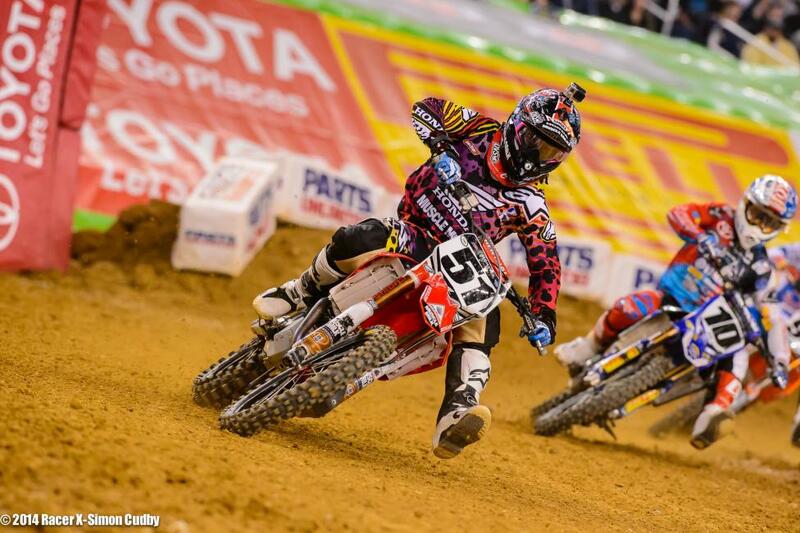 Stewart’s main challenge for the rest of the race came from lappers. 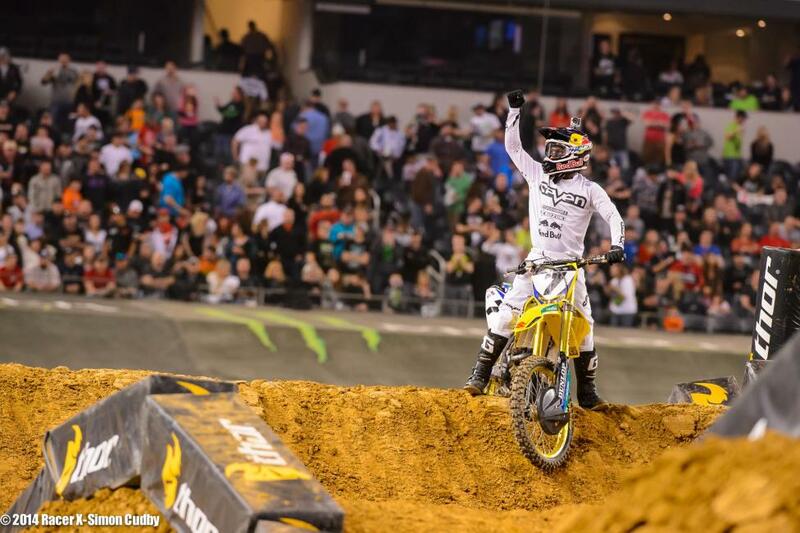 He was able to avoid traffic en route to his second win of the season, which also makes the first back-to-back 450SX wins of the season. 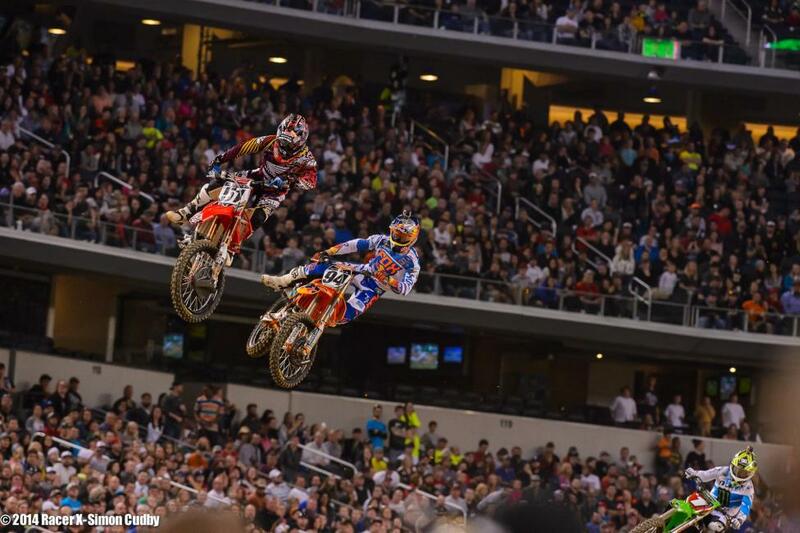 Dungey held on for second and Barcia rounded out the podium. 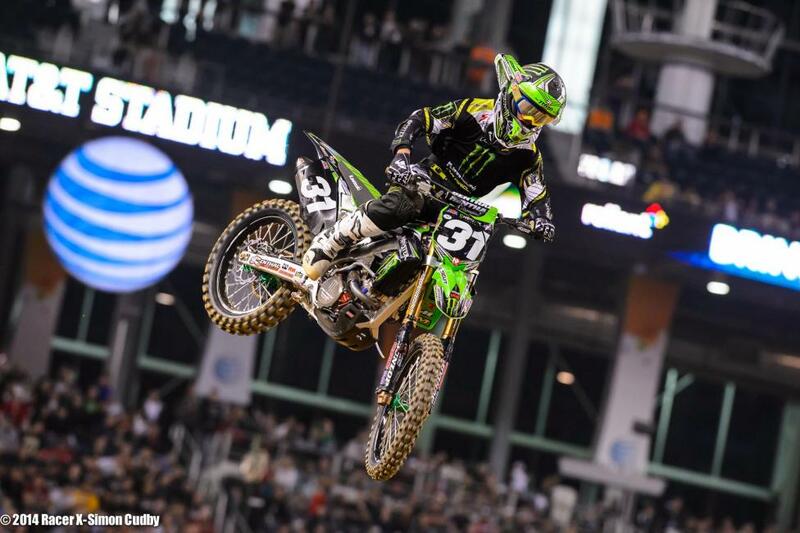 Adam Cianciarulo blasted out of the gate to take the first 250SX East main event holeshot of the season. 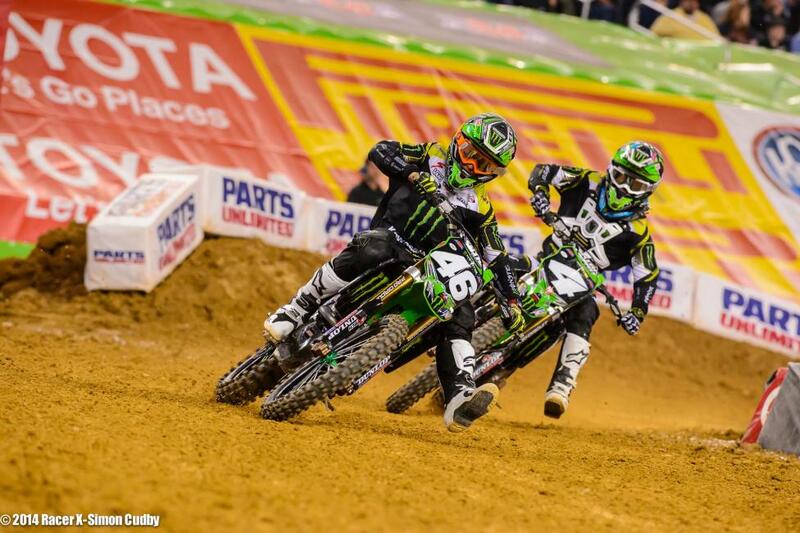 Cianciarulo had both of his Monster Energy/Pro Circuit Kawasaki teammates—Martin Davalos and Blake Baggett—right behind him through the first turn. 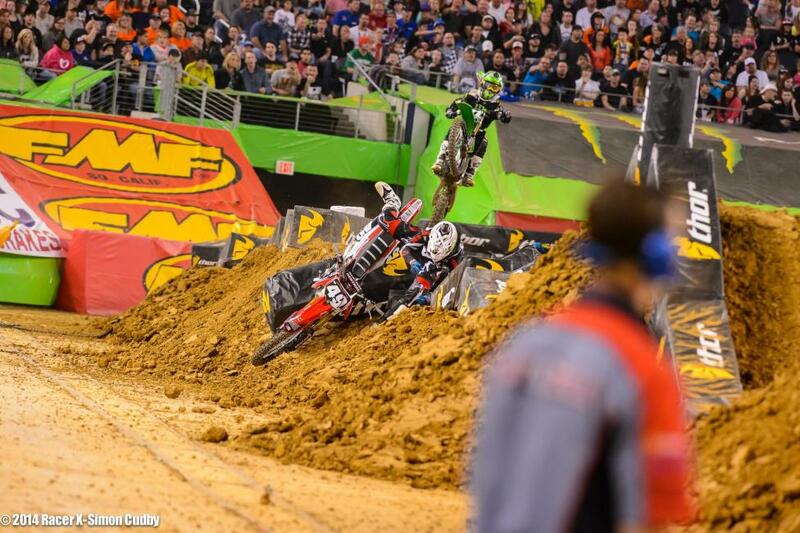 Davalos took the lead from Cianciarulo going into the second turn and held the lead for the next three laps before high siding in the track’s second corner. 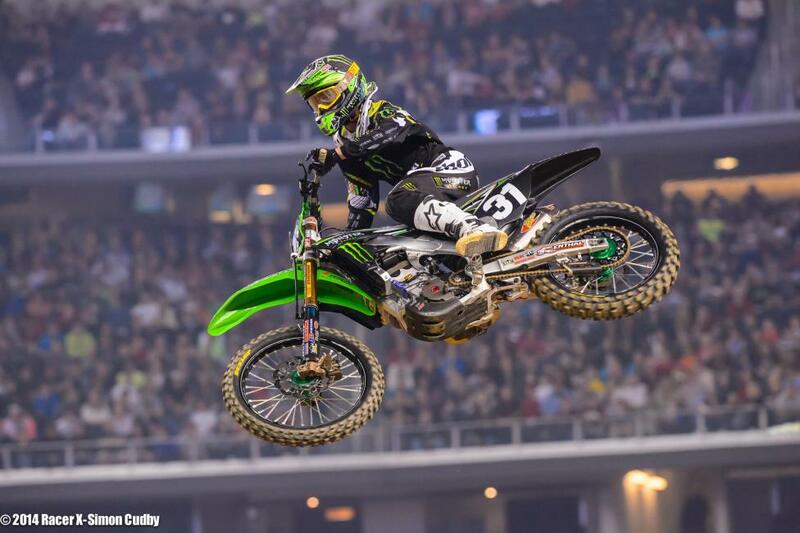 Cianciarulo inherited the lead, but Baggett was still on his tail. 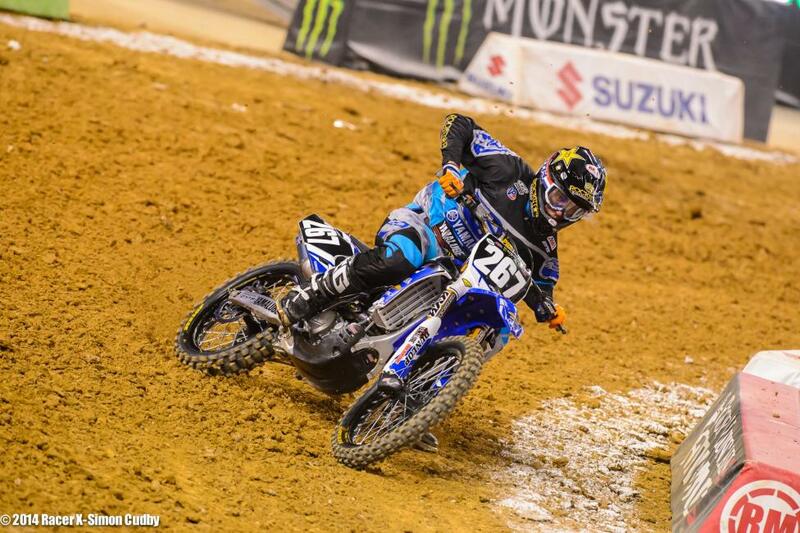 Yamalube Star Racing Yamaha’s Anthony Rodriguez was holding down third, but went down in the same corner as Davalos and had to take a ride off the track in the Asterisk Mobile Medical cart. 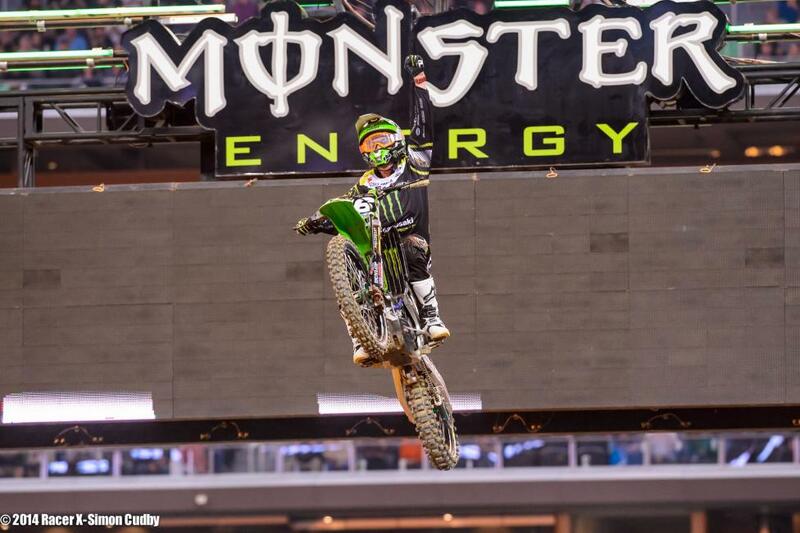 Davalos came back from his crash to pick up third. 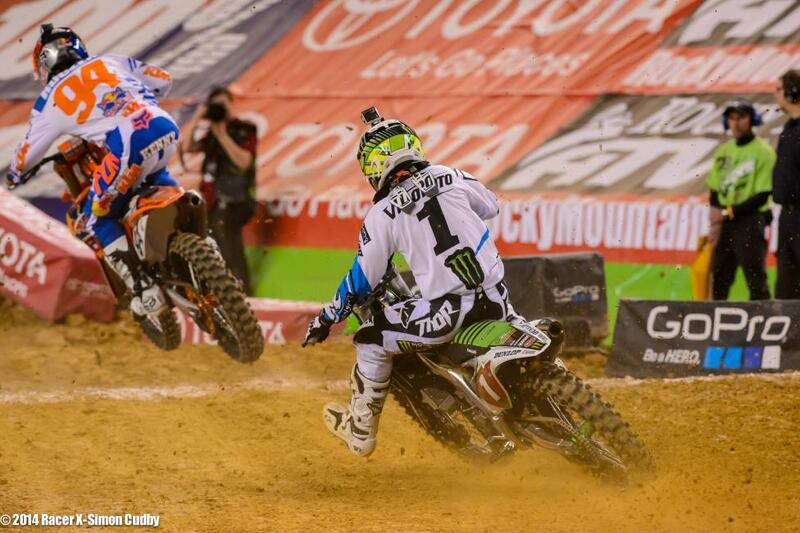 Cianciarulo and Baggett diced at one point and swapped positions, but Cianciarulo made the last pass for the lead. 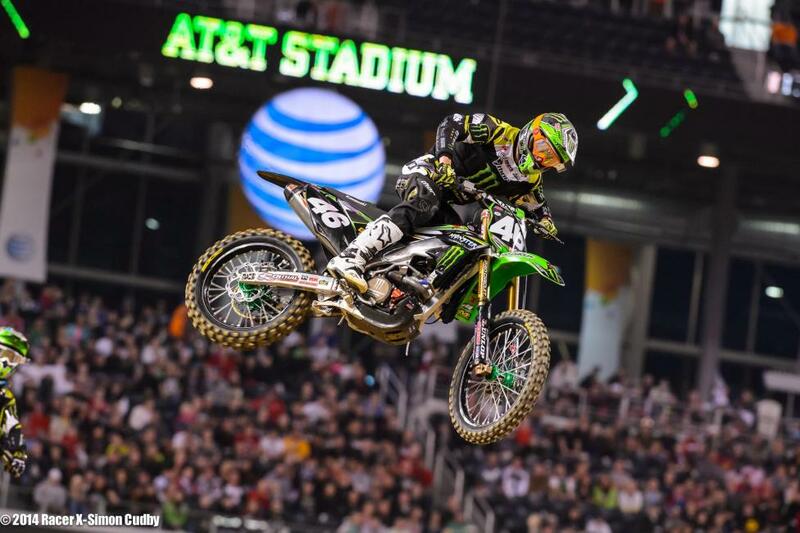 Cianciarulo stretched his lead a little bit toward the end to take the win in his first-ever supercross race. 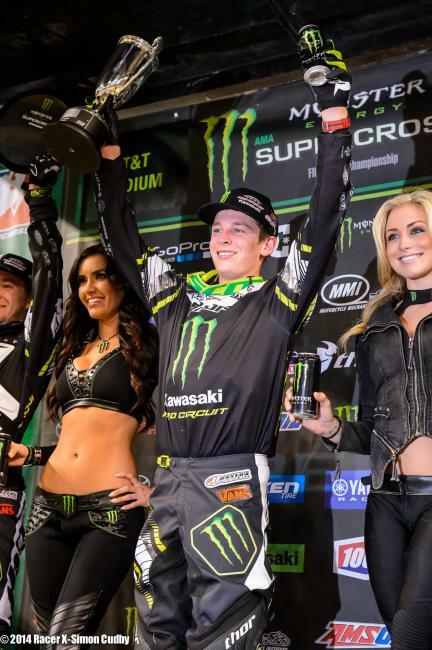 Baggett followed him up in second with Davalos in third for an all-Monster Energy/Pro Circuit Kawasaki podium.